Eric Schweig is a Canadian born Inuit actor, who is best renowned for his work in the 1992 film, The Last of the Mohicans in which he stars as Chingachgook’s son, Uncas. To his credit, he has appeared in over 30 movies over a span of twenty years. 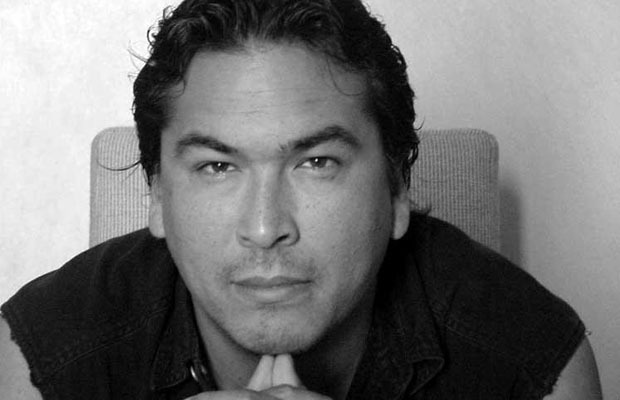 Eric Schweig was originally born as Ray Dean Thresher, in Inuvik, Northwest Territories on June 19, 1967. He is of mixed heritage and descent, namely Inuvialuk, Chippewa, Dene, German and Portuguese. Schweig and all six of his siblings were taken away from their mother and integrated into the Canadian foster care system, consequently being adopted by different families. Many analysts and critics has since claimed that the prior actions was a futile and disastrous attempt made by the Canadian government to find a way of incorporating the Inuit and other Aboriginal races into the Canadian society. Schweig was adopted at birth by a German-French family who were adept at English as a second language, with whom he lived in Inuvik until the age of six, moved to Bermuda with them and then eventually returned back to Canada. He has, at various international conferences and meets, mentioned about the abusive nature of his adoptive parents and how it forced him to finally run away from his adopted home to Toronto, Ontario at the age of 16, where for the first few years he tried to fend for himself by working as a house framer. Schweig’s first formal acting experience was when he was cast as a part of the The Cradle Will Fall, an adaptation of Spring Awakening by Frank Wedekind, by the Theatre of Change at the Actor’s Lab in 1985. Since then he has made in myriad number of appearances in both television and movie productions, such as his role of Uncas in The Last of the Mohicans (1992) and Pike Dexter in Big Eden (2000), the latter of which brought him the Grand Jury Prize at the Outfest film festival. Apart of acting, Schweig is also prominently known for his skill as a carver and his inspiring work as a spokesperson for various Aboriginal issue and causes. Schweig’s artistic expression started to come forth when he began carving masks, as a quick, self learning amateur, in early the 1990s. He decided to further hone this talent by studying under the tutelage of renowned artist Vern Etzerza, and proceeded to study traditional forms of Pacific Coast carving, after which he directed this unique talent of his towards traditional Inuit Spirit Masks, in a collaborative effort with world master carver, Art Thompson. Schweig is also very well known for being a spokesman for numerous aboriginal organizations, given his success as an actor and traumatized childhood, he has been able to reach out to numerous people and make them aware of a multitude of issues regarding the aboriginal people. His work as a full time Resource Assistant for Youth, has helped numerous First Nation children find their way in life. His activism in issues regarding the Aboriginal community is also seen through his more recent acting work like Skins (2002), Cowboys and Indians: The J.J. Harper Story (2003) and One Dead Indian (2006), in which he tries to tackle more contemporary issues faced by aboriginal and Native American people. Eric Schweig currently resides in Winnipeg, Manitoba and is divorced.